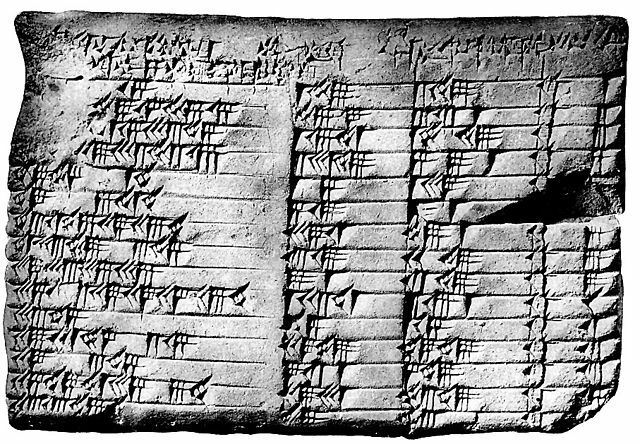 Babylonian clay tablet Plimpton 322, Columbia University. At the end of the 20th century nobody would have ever called a truck driver a “cognitive worker”. At the beginning of the 21st century, the development of self-driving vehicles based on AI imposes a new reading of manual skills such as driving. The rise of AI reveals that the most valuable component of work in general has never been just manual, but social, cognitive and creative. The course follows the relation between computation, cognition, labour and capital across three periods. After introducing the notions of algorithm in ancient and pre-modern times, it will focus on 1) the industrial revolution, 2) the information revolution and 3) the age of Artificial Intelligence. With some help from media archaeology and steam punk, the course proposes a radical turn of perspective: it looks back at the machines of the 19th and 20th centuries from the point of view of Artificial Intelligence, as proto-artefacts of Artificial Intelligence, in order to reconstruct a different and parallel history of algorithms, musical automata, calculating engines and mindful labour. As a historical overview in between philosophy of the mind, political economy and computer science, the course engages with a wide range of classical authors challenging in particular the contemporary voices of media theory. In chronological order: Charles Babbage and Ada Lovelace, Karl Marx, Norbert Wiener, Gilbert Simondon, Gilles Deleuze and Felix Guattari, Romano Alquati, James Beniger, Langdon Winner, Simon Schaffer, Michael Hardt and Antonio Negri, Philip Mirowski, Nick Dyer-Witheford, Jodi Dean, McKenzie Wark, Trebor Scholz, Ned Rossiter, Luciana Parisi, Tiziana Terranova, Jon Beller, Nick Snircek, Kate Crawford and Vladan Joler. Mondays 15:00-18:00 / Room: 112. Fortnightly, 14-täglich! First class: 29 October 2018.